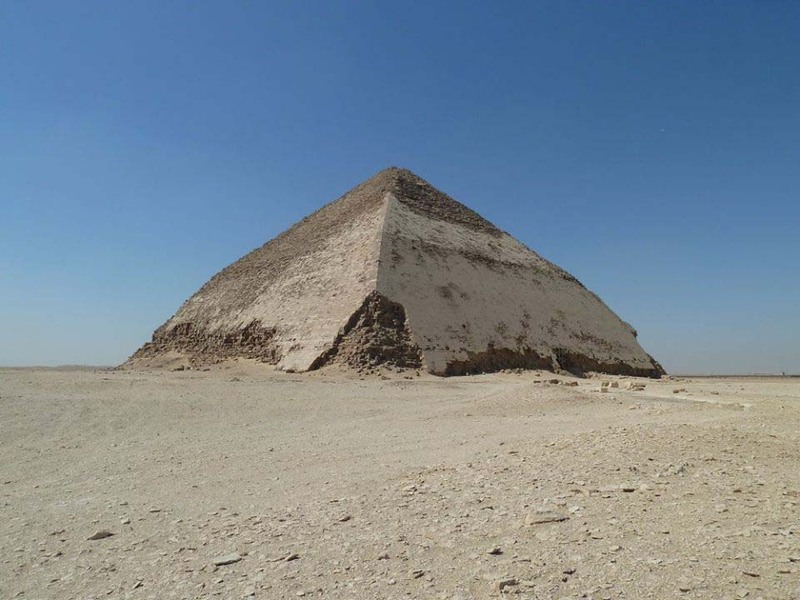 Let's discover a Buried Pyramid of Sekhemkhet simple known as Sekhemkhet pyramid, which is situated at Saqqara archaeological site with many other pharaonic pyramids and temples to explore. 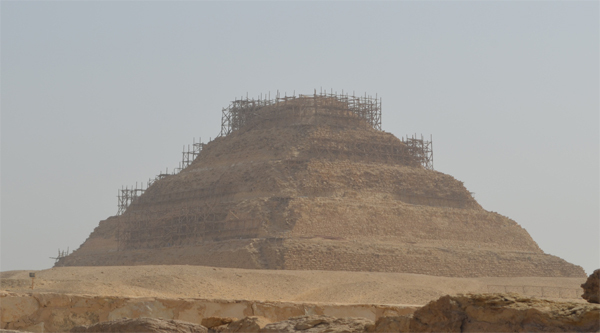 Saqqara is also the location of the incomplete step pyramid of Djoser's successor Sekhemkhet, known as the Buried Pyramid. 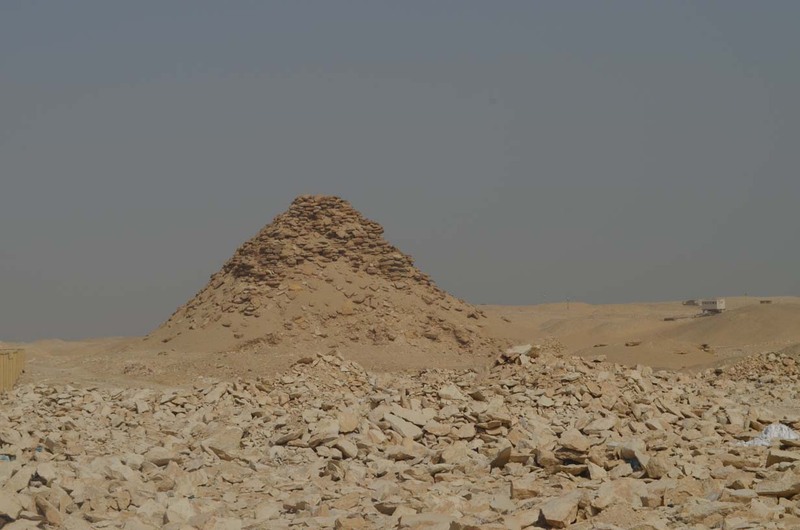 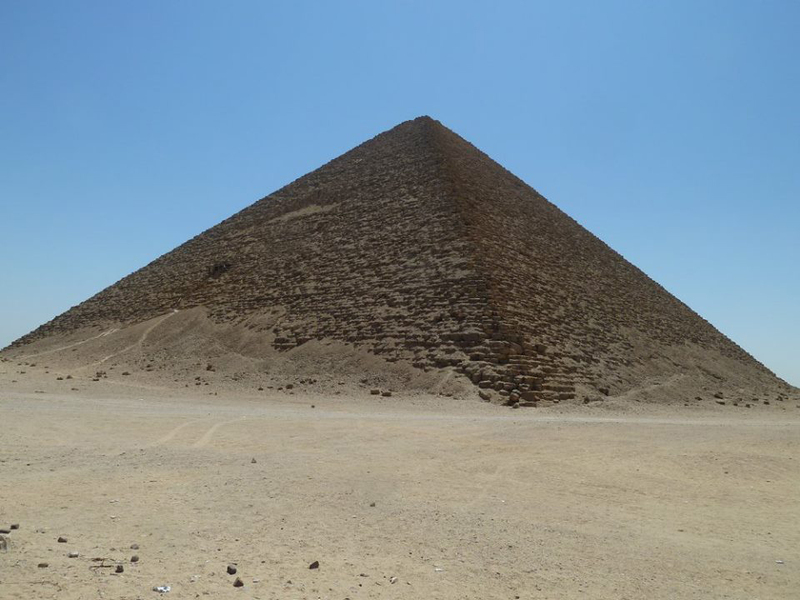 Archaeologists believe that had this pyramid been completed, it would have been larger than Djoser's. 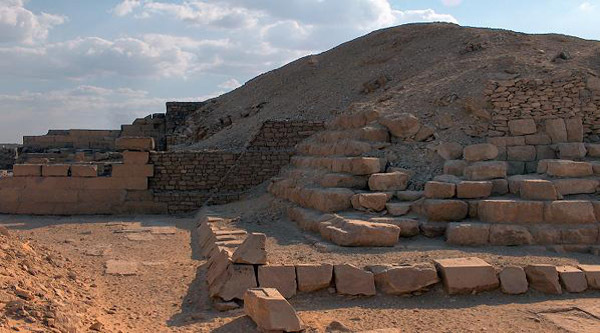 Discovered by Zakaria Goneim in 1951, Sekhemkhet's tomb too was located within a large enclosure, though here it was conceived as a step pyramid from the start. 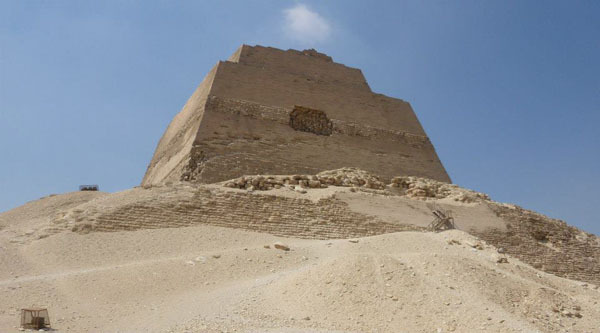 Planned as a 120 m square pyramid, rising up to a height of some 70 m in seven steps and set within a 500 x 200 m enclosure, this building project was much more ambitious than that of king Djoser, though ultimately the untimely death of the king caused construction to come to an abrupt halt at an early stage, never to be completed. 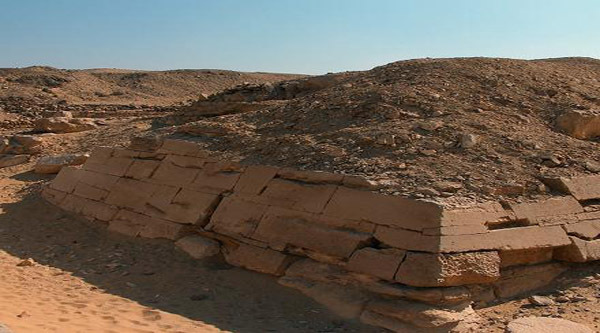 As a result of architectural and constructional similarities, it has been suggested that both complexes were built under the guidance of one and the same person; indeed Imhotep's name has been discovered in a graffito on the northern enclosure wall. 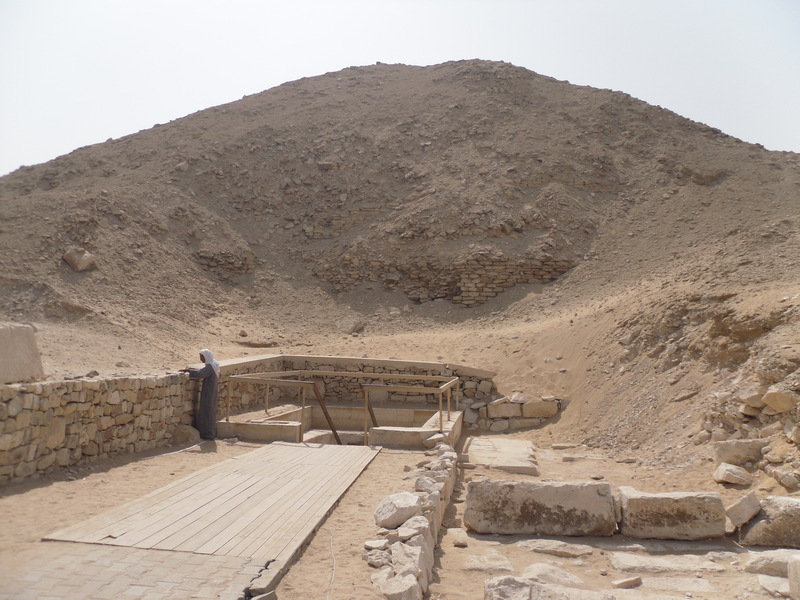 Beneath the pyramid there exists a network of subterranean galleries and magazines surrounding the burial chamber, where a unique sealed alabaster sarcophagus was found, though without any human remains inside. 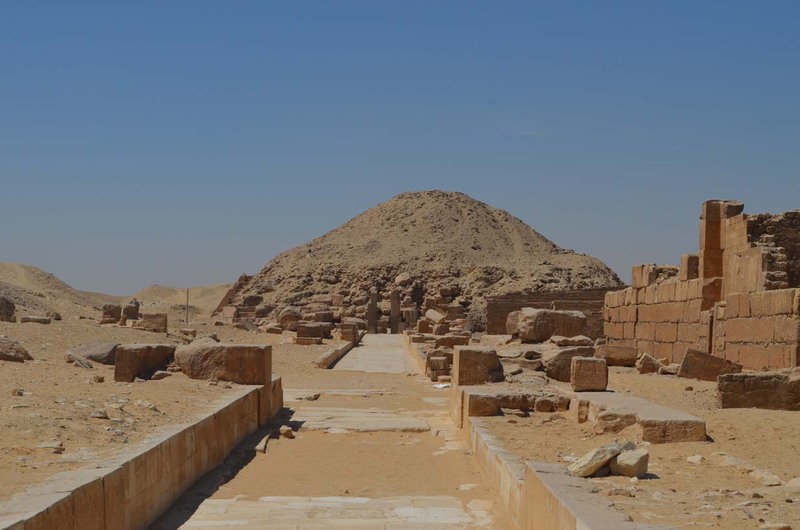 The remains of a child were found in a secondary mastaba tomb, the 'Southern tomb', though it is uncertain whether they belong to the king himself.